How to cheat on Blackjack? “Winner, winner…chicken dinner!” Looking to make out big next time you’re in Vegas? Well, you can always do it the normal way and go on luck or you can increase the odds using some “help.” Although none of the tricks are legal and should be performed at your own risk, know that casinos are using some advanced technology to spot cheaters and chances are, you’ll probably walk away with several broken bones, a fat lip and more if you try these. Remember…cheaters never prosper! Bring in your own dice to help your odds a bit! Simply switch out the dice on the table for one that are scrambled (drilled down dice with added lead weights that allow for one side to be heavier). While there are many sites out there that teach you how to do this, know that “controlled rolling” is totally unlikely in Vegas without getting caught. The card holdout idea goes was invented in the early 19th century and probably even before then. Earlier this year, a couple of guys used this device to cheat at a Connecticut tribal casino called Foxwoods to win big at the Baccarat tables. It’s essentially a homemade device you use to strap to your arm and place under your coat to provide you with alternative cards to win at the tables. Cheating at blackjack? Yup, there’s an app for that! 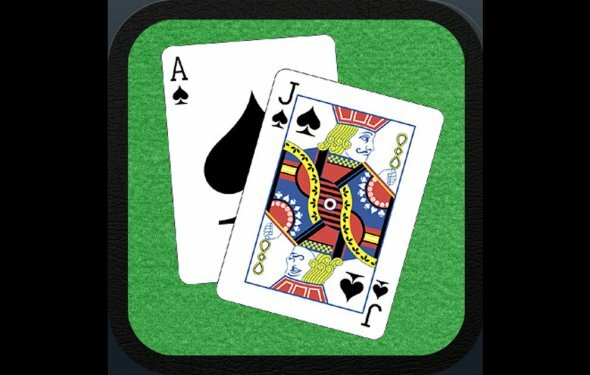 Made for the iPhone or iPod Touch, the app does the card counting for you. The .99 Blackjack Card Counter application keeps a running count and true count of the cards, allowing you to choose from the HiLo method, the Hi-Opt-I, Hi-Opt-II method or the Omega II method. Card counting isn’t illegal in Nevada, but using a gadget is definitely a felony. Empty out a slot machine at the push of a button with this cool and sly device! It’s easy to operate and can remain hidden so that casino surveillance cameras don’t pick anything up. You can also use it on video poker machines. If you’re new at counting cards, the Blackjack Beater is a silent, vibrating, pocket-sized device that will help you count cards easily and discreetly. Made to like a car alarm, all you do is press the appropriate button when you see a high card, face card or low card. It will then emit a long or short vibration to let you know if you should bet high or low depending on the negative/positive count of the cards. Created by Gleen Carmichael, he banked on slots using his homemade device called the slider, which was essentially a spring steel and guitar wire that you could snake into the machine through the payout chute and tripped a microswitch. He later created the light wand, which defeated hopper-based slots using a mini light bulb and camera battery that would blind the machine’s hopper to not realize it was paying out coins. Blocked is a 2006 horror film by American director James E. Roberts. It was released in the United States by York Entertainment. Win big and carry on as you get bragging rights to share with friends via Facebook and Twitter and tell them how great you are doing. How to Cheat at Blackjack?